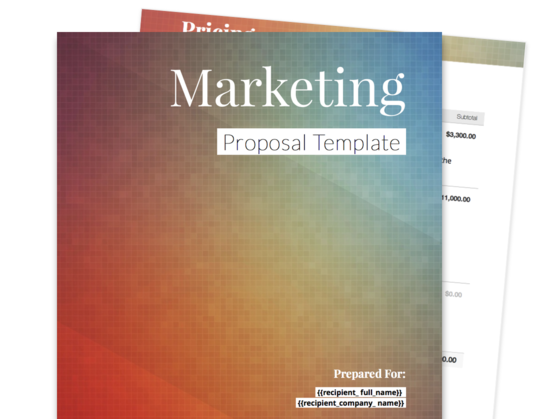 Your marketing services are exceptional, so why not represent yourself well to your prospects with a polished marketing proposal. With sections for introducing your team, explaining your marketing plan, listing out pricing, and more, you can show your customers why you’ll give them the best return on their marketing dollar. 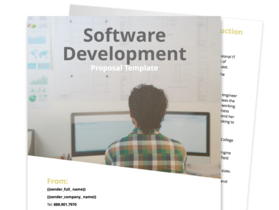 Take advantage of a clear-cut, concise, and professionally made marketing proposal that you can customize to exactly how you want it to be. Effectively introduce your marketing agency to potential clients, giving them a quick rundown of the big marketing campaign successes you’ve had in recent past. Acquaint your clients on the kinds of marketing services your team has proven to be an expert in, from advertising campaigns and fundraising events to web design, tradeshow management, public relations, and copywriting. Clearly and succinctly lay out the pricing for your services, giving your prospective clients all the transparency and information they need to close the deal. Marketing agencies with a passion for efficiency, creativity, and customer satisfaction. 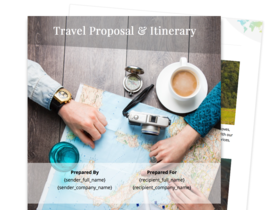 This section allows you to state your intent to create a robust marketing campaign for your prospective client, while also giving them a brief overview of what makes your team a cut above the rest. 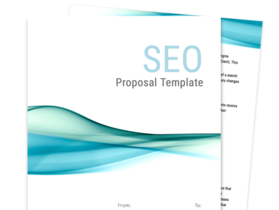 This part of the proposal lets your prospect get a brief but detailed preview of the top-quality services that your marketing agency offers. This section also gives you the chance to introduce the key members of your team that your clients will be working closely with, allowing them to get familiar with their names and their qualifications. It’s a great way to turn a lukewarm client into one who is more eager to close the deal with you. When it comes to getting a potential client to commit, nothing can push your case further than hard numbers, facts, and figures. This section details the services that you’ll be offering, the duration for which the services will be provided, and the costs that go with them. Each service can be described in a straightforward manner, and all costs can be laid out transparently and clearly. As an added upsell opportunity, this section allows you to input optional services that your client can toggle on and off, letting them see how much it affects their potential budget should they decide to go with all the bells and whistles. This section finalizes the agreement between your agency and your customer. Congratulations on the deal!